A recently released documentary film, “Unbounded” chronicles the unaided journey of four people from around the world, united to embark along one of the wildest treks on Earth. For four months, the crew hiked and packrafted through Patagonia on the longest continual trail in South America. 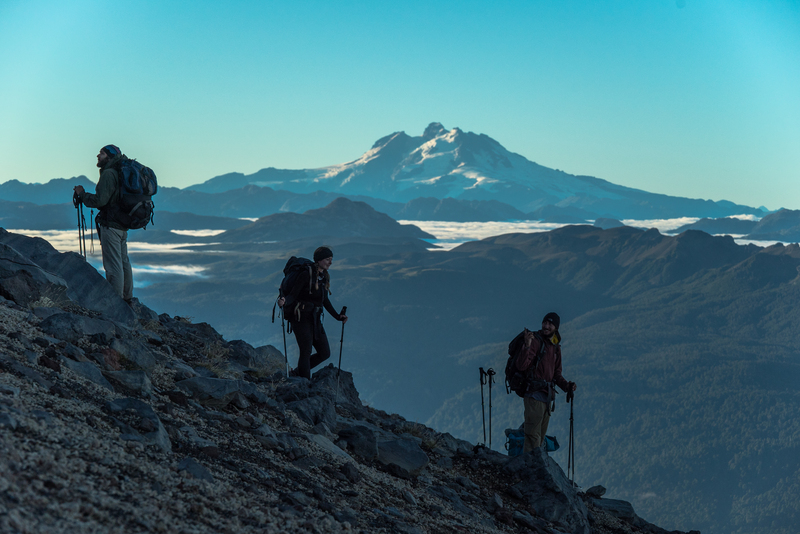 The Greater Patagonian Trail (GPT) cuts through one of the wildest regions of the planet. And the area – the size of Germany, Italy, and Spain combined – is difficult to access due to dense forest, snow-capped peaks, active volcanoes, and barren desert. Following the film’s premiere in Fairfax, Va., the documentary will travel around the U.S., including stops in Boulder, Colo., and Jackson, Wyo. 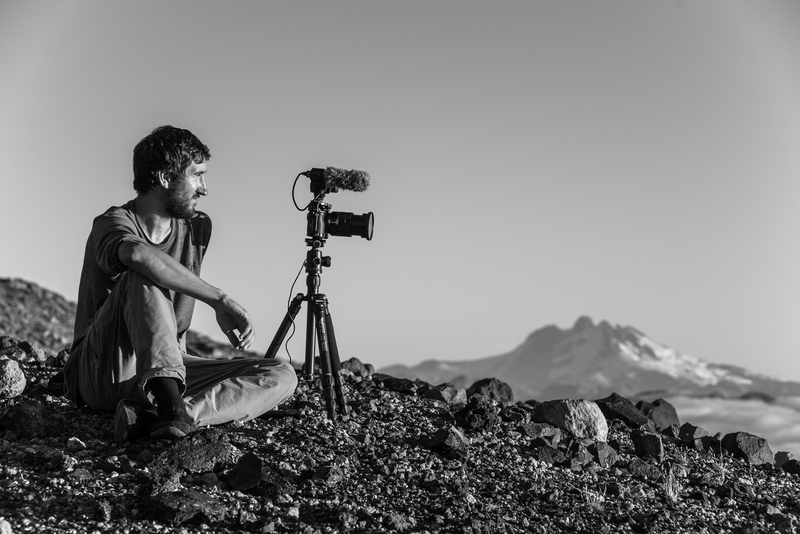 GearJunkie caught up with director Garrett Martin to learn about current environmental debates in Patagonia and Chile and why we should care. GearJunkie: When did you learn about the Greater Patagonian Trail? Martin: In August 2016, I was researching long hikes that would be demanding and test me. I recognized most of the classic top 10 longest hiking trails – except for the Greater Patagonian Trail. I’d always wanted to go to Patagonia. The trail can be hiked in from the fall to spring, from December to May. So – you only had four months to prepare for this hike and film project? Yes – or else, I’d need to wait 1.5 years. It was pretty hectic. I chose crew members from different countries and backgrounds so that relationships they formed were unique. Everyone was so inexperienced. The nerves took on a new level when our wilderness guide backed out one week before we left. We brought on a new crew member. Why were you driven to dive into this film project under those circumstances? I sent an email to the trail’s founder, Jan Dudeck, and he replied with a short story about how incredible, mysterious, powerful, and intriguing this trail is. I knew it was something I had to do. Then, no one else I talked to could put a finger on precisely what makes this place so unique. It’s one of the last truly wild places in the world. It’s a vast region that covers the entire bottom half of South America. The idea behind the documentary was to figure out what makes this region so special and, in turn, why it is so important to protect it. You interviewed 20 of the top environmental organizations and environmentalists across Chile: What is the most important issue? Although Patagonia takes up a large portion of Chile, I’ll speak to Chile as a whole: The biggest problem that they have is a water code that allows water to be completely privatized. Companies, organizations, and people can buy the rights to water and rivers and sell them for whatever they want. For the past 20 years, really large companies have bought the rights to water and rivers and turned them into a profit through mega hydroelectric dams. Dams are extremely destructive to river ecosystems and their surrounding areas. We’ve been through the same issue in the U.S., and now we’re destroying our dams. Once a dam goes in, it leads to further development. Constructing a hydroelectric dam in a remote area requires building a road, which opens the door to extractive industries including logging and mining. Power lines need to be built, which go from these remote areas for 50 to 100 miles to a city that needs the power, like Santiago. None of the small communities around the actual dam get the power. Why were locals skeptical of the largest land donation in history, which was finalized when you were in Patagonia? The Tompkins Organization, founded by the late Douglas Tompkins and his wife, Kristine, donated a total of 1 million acres to be preserved in three national parks. In an agreement, the Chilean government agreed to contribute 9 million acres of reserves and connecting land areas that would be turned into national parks. Over the past 20 years, the Tompkinses purchased land for the sole intent of “re-wilding” it. Their goal was to donate it back to the Chilean government so that the land could be turned into a national park system. But a lot of the Chilean people were afraid these foreigners were purchasing land and making false promises so that they could keep the land themselves. Rumors circulated: Would these Americans keep the land for themselves? Would it become a tourist trap or completely destroy the landscape? It took Tompkins 15 or so years to gain the Chileans’ trust. And now they have it, with this agreement that resolved in 10 million acres of protected land in Chile. Are there any other current environmental controversies? In southern Patagonia, there are controversies between the farmers and environmental organizations about about how to protect both the puma – and other large animals – and the private farms. Pumas are an extremely rare animal. They also destroy farmers’ land, sheep, and cattle – it’s their livelihood. The question is: Should they be allowed to kill pumas that encroach on their land? Or, should the pumas be protected? What has been the locals’ response to these issues? A lot of environmental organizations have sprung up throughout the country and are fighting back. Locals have been really involved. Awareness is a lot higher than it used to be. My biggest takeaway from this experience has been that if we love something, it’s our obligation to get involved by signing petitions, volunteering, and spreading the word. It’s our responsibility to protect what’s wild. Patagonia is one of the most fragile ecosystems in the world. And we just don’t have places that exist like this anymore. It’s vitally important to protect them. 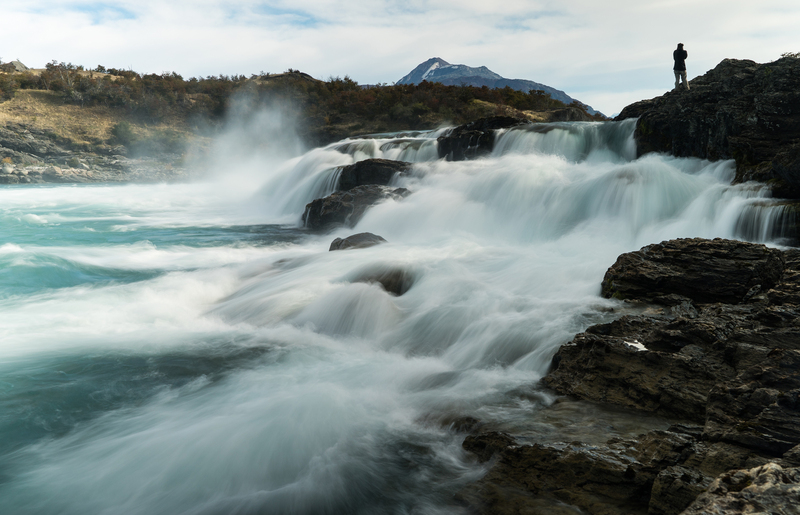 The best way to get involved with these issues in Patagonia is to donate to the environmental organizations like Futaleufu Riverkeeper, Conservacion Patagonia, Puelo Patagonia, and Exploration Institute. Another huge relevant issue is that these grassroots groups are competing with one another for funding. And there is not a lot of money available. 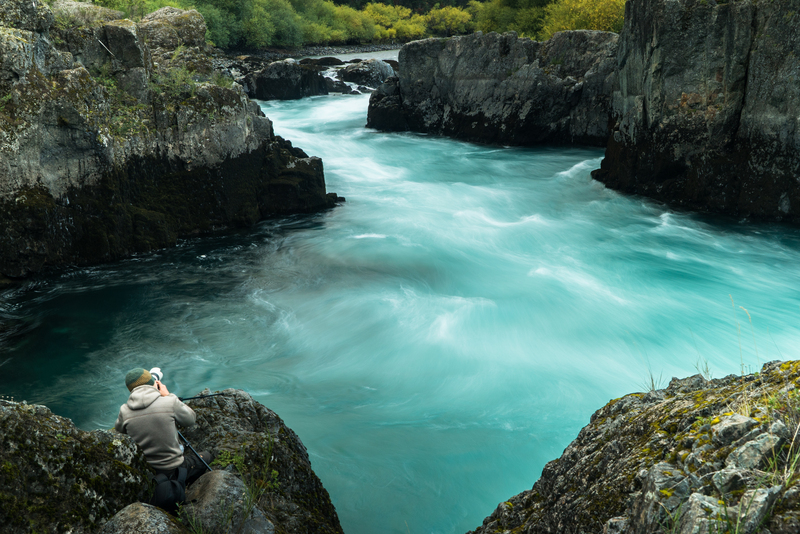 When you learn about conservation issues in Patagonia, spread the word on social media. Nothing replaces the support that’s gained by visitors actually going there. –Check out an upcoming screening of “Unbounded,” or request a screening in a city near you. Ahead: Martin is producing a feature film with the interviews of these environmental organizations.